Good morning! 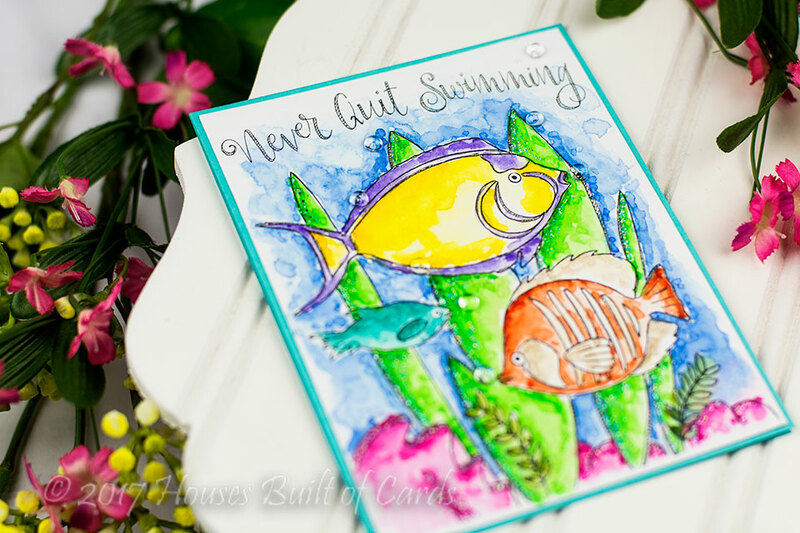 I hope you had a chance to hop this past week to celebrate the NEW Simon Says Stamp One of a Kind Release! 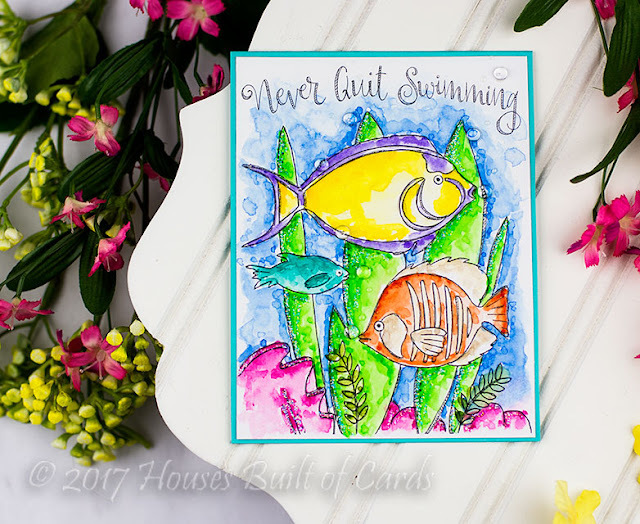 I'm dropping by today to share another card I made using more of the Punder the Sea Watercolor Paintables by Suzy Plantamura - this is the other card I made watching a movie the other night! I went seriously bright, bold, and happy on this card. I also added some clear Droplets from Pretty Pink Posh, as well as a bit of sparkle with some sparkly Stickles, and a few smaller water bubbles with drops of Glossy Accents.